Fordham University in New York City – a Catholic institution – currently features Planned Parenthood on its web site under "internships and job opportunities" for students. Other anti-family advocacy groups listed by the university include the National Organization for Women (NOW-NYC), Amnesty International, and GLAAD. Sign your petition to remove these pro-abortion listings. Your instant protest will go to the president of the university, Fr. 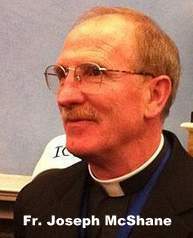 Joseph M. McShane, SJ, urging him to remove every pro-abortion group listed by the Women, Gender, and Sexuality Studies department. How can a Catholic university encourage students to connect with Planned Parenthood and other pro-abortion groups? Speak up. Don't remain silent. Let your voice be heard. Join this peaceful protest now. Share this page with your friends. As a defender of innocent life, I respectfully urge you to remove Planned Parenthood and other pro-abortion advocacy groups listed on Fordham University's web site under "internships and job opportunities." Thank you.